© copyright 2001-2014 Veretech Holdings, Inc. Missing a bumper? Severely damaged vehicles are less popular and bring lower prices while "clean" vehicles get a premium. Got a pick up truck to sell in Texas? There are regional preferences for vehicles based on typical use, terrain, climate, and regional taste. Are you a weekend driver only? Probably not. Most people drive between 10,000 and 12,000 miles per year. Put on fewer miles and your vehicle will fetch a premium. Do people stop and look when you drive by? 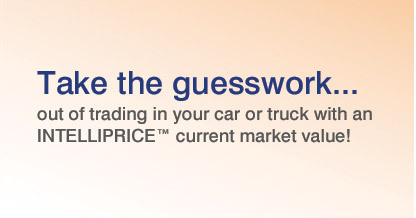 If so, you might be driving a popular model worth a premium value. 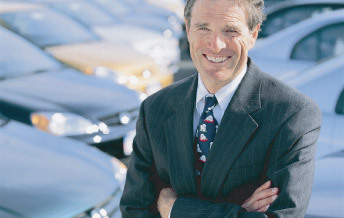 And, vehicles that are still under manufacturer warranty (3 years 36,000 miles usually) bring a higher value. Love that purple car? Maybe so, but basic colors like white, black, silver and blue typically bring the highest values. Thinking of trading that convertible for an SUV? Great idea if the flowers are still blooming…maybe not so good if there's snow on the ground. A 0% deal from the manufacturer makes newer versions of your car more attractive to buyers…which may lower demand and value for you. There are many other variables like economic conditions, local supply, and new vehicle production that can affect your value. We recommend a visit to the dealer for a firm price.